Whether you are a pilgrim seeking God's blessings, an adventure enthusiast looking for an adrenaline rush, a traveller looking for a getaway from the city bustle, or a backpacker out there looking to reconnect with your ancestral roots, Uttrakhand will likely match your profile. And what better time to visit the varied state than during Asia's largest lake festival! Tehri Lake Festival, organized by Uttarakhand Tourism Development Board (UTDB) is the most joyous festival of Uttarakhand, involving folk dances, music, amazing food, water sports, and much more. The festival is a mixed bag of art, culture, and adventure - a complete package. The festival starts with the onset of spring, from 25th February 2019 to 27th February 2019. You will never run out of things to see and do at this eclectic festival. Indulge yourself in soothing music performances, cultural dances, yoga sessions and water sports such as boating, banana rides, jet skiing, surfing, paragliding, canoeing, river-rafting, and more. This is a one of a kind event where professionals will showcase their aerial skills too. To top this off, there will be performances by people from the Bollywood industry as well. There are other attractions you can explore such as photo and jewellery exhibitions that are equally delightful and fun. Most of the action, including water sports, take place at Tehri Lake. Here's how you can reach the festival place. By Air: Jolly Grant Airport in Dehradun is the nearest to New Tehri (87 km). From there you can easily take a taxi ride to the festival. By Rail: The nearest railway station from Tehri is Rishikesh, about 73 km away. Buses run from the station to the festival at frequent intervals. You can also take a taxi. 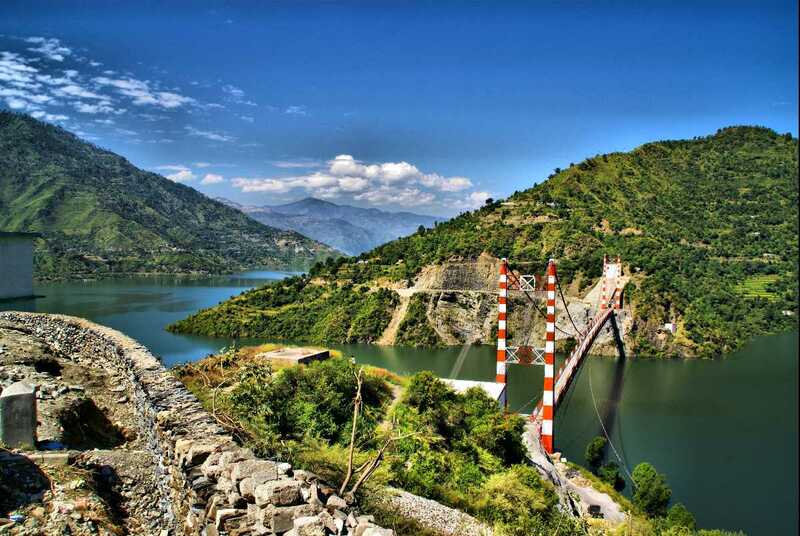 By Road: New Tehri is well connected to all major cities such as Rishikesh, Mussoorie, Haridwar, Devprayag, Srinagar, New Delhi, and more. You can either hire a private car or opt for government/ private buses. Make the most of the 3 days long Tehri Lake Festival in Uttarakhand and bring back home a bucket full of memories!